People in Naples have a spectacularly blasé attitude towards Elena Ferrante’s My Brilliant Friend series. Now, thanks in large part to the same Ferrante books which claimed the “scam of rebirth raised hopes and then shattered them” in Naples, the town and its tourism industry is in fact reviving. And whether we like Ferrante or not in Bella Napoli, many Neapolitans are becoming reacquainted with their city as it relates to passages in Ferrante’s Neapolitan Chronicles. 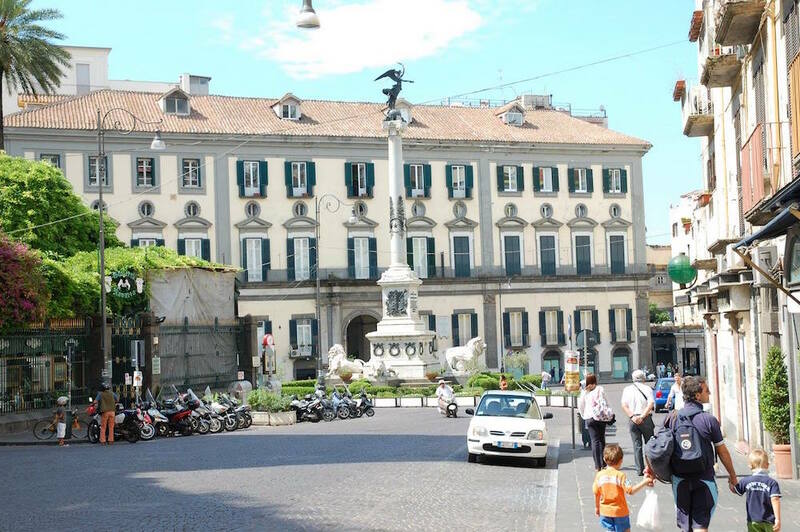 Here we explore the Neapolitan neighborhoods, schools and landmarks that dominate My Brilliant Friend and how these places are viewed, inhabited and enjoyed by Neapolitans today. The titular brilliant friends in the novel, Elena Greco and Raffaella Cerullo, referred to as Lenùand Lila throughout, live in the memorably drab neighborhood of Rione Luzzati. Part of a collection of unremarkably industrial zones behind the Garibaldi Central Train Station, Rione Luzzati is typical of countless Neapolitan neighborhoods that re-emerged in the post war years. While not ostensibly a tourist destination, Luzzati tells the story of Naples. Covered in ashes throughout the early 1940s, emerging triumphant following the Four Day Revolt in 1943 when locals kicked out the Nazis, slowly resurfacing and recovering with Allied support in the late 1940s, followed by a baby boom in the 1950s and a kind of economic resurgence in the 1960s. Rione Luzzati went through all of those stages and today it notably sits in the shadows of the Centro Direzionale business district. 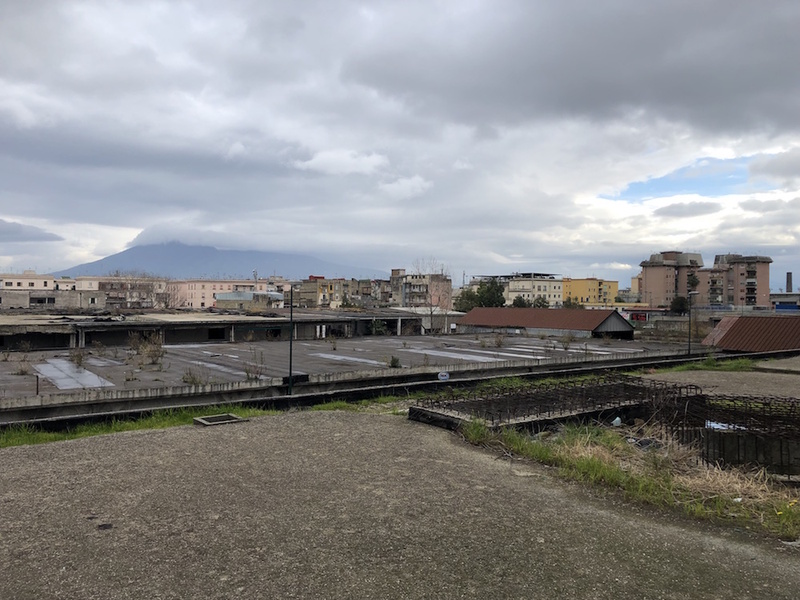 In the 1960s, some city hotshots conceived of the idea for a central pedestrian business district on the outskirts of Naples historic center to attract international companies to Naples. Japanese architect, Kenzo Tange designed the project in 1982. The result is a dystopian collection of incongruous buildings that would be more at home on the set of Blade Runner than in the historic edges of Naples. Rione Luzzati and the urban planning projects that surround it- whether Centro Direzionale, the train station or the many new Chinese owned import-export depots, displays the more complicated Naples, always on the verge of greatness, imminently resilient, and never quite grasping her potential. By the second half of the first book, we discover how stark the class divisions are in Naples. Lenùand Lila clearly live in a grey, spiritless working class neighborhood. Through them we view Naples with striking discomfort. The stradone that slices through their quarter is home to camorra shoot-outs, a bakery that doubles as a money laundering front and countless episodes of young children acting violently towards one another. Lila notably throws rocks at her male classmates and spitballs at her teacher. The two worlds collide when Lila and Lenùand a group of their friends from the Rione take an afternoon passegiata in the wealthy Chiaia. 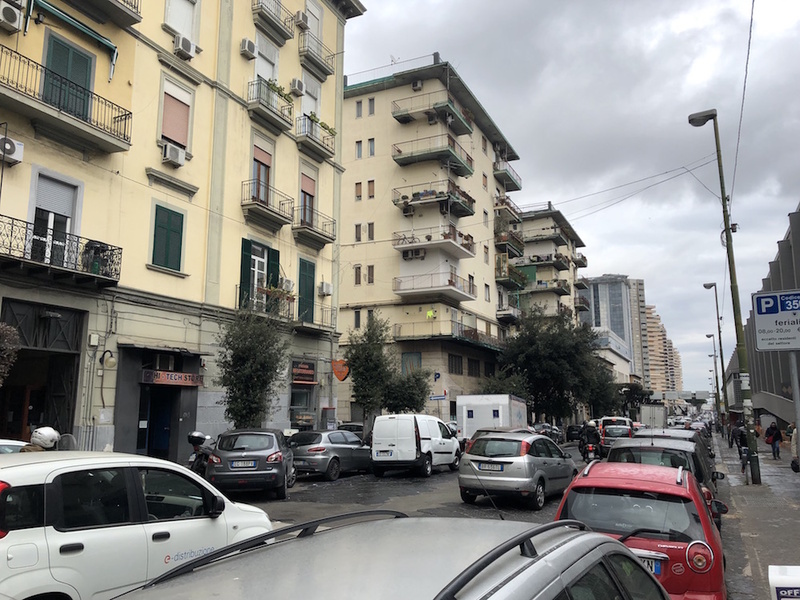 As they approach Piazza dei Martiri, a well dressed youth from the neighborhood screams an offensive word at Lila and the interaction quickly becomes violent. All hell brakes loose as Lila’s brothers and friends join the scrum to pound the Chiaia dandy and his chums. It makes for a powerful scene and if you visit the piazza today you can easily see why. Piazza dei Martiri is the symbolic epicenter of bourgeoisie Napoli. Hermes, Salvatore Ferragamo, gourmet chocolate stores and the iconic Marinelli ties all dot the graceful streets of Chiaia. 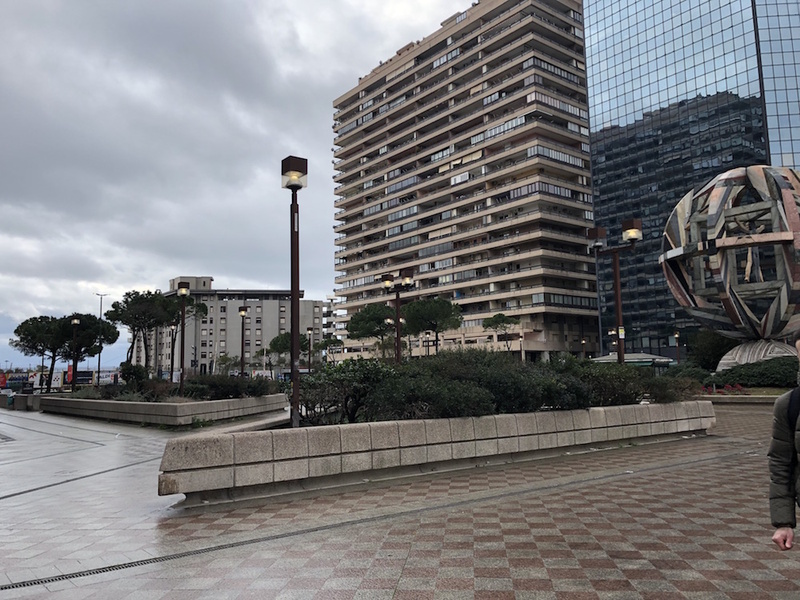 This is the Naples that Americans have loved for generations- the Naples we choose to embrace while conveniently ignoring the more conflicted working class quarters like Rione Luzzati. When Lila and Lenùare still in elementary school, they ditch one morning and attempt to walk to the sea. Neither of them remembers ever visiting the seaside, which is incredible to read as an inhabitant of current Napoli. 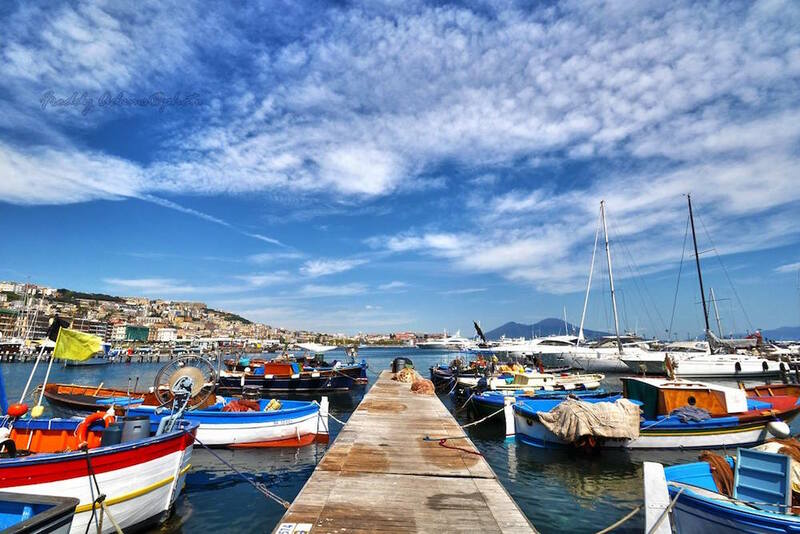 The sea is everywhere and the Bay of Naples is constant presence in our waking and sleeping lives. Yet in the 1950s, it was very common for children to spend their entire waking lives in their small working class neighborhoods- and therefore never see the sea. That is perhaps the most striking part of the series- the conspicuous absence of the sea and water in the young girls’ early childhood. Myriam de Rosa a native Neapolitan and professional photographer in Milano perhaps put it into words what many Neapolitans privately think when she told me, “Ferrante describes a poor and problematic Naples. A Naples characterized by acts of daily violence, even among children. Children who grow up fast, locked in the walls of a difficult neighborhood and limited by the humble realities in which they grew up. Anna Maria Ortese in 1953 wrote Il mare non bagna Napoli, a book I wanted to destroy immediately after finishing it. Elena Ferrante, whoever or whatever she/he is, had certainly read it, since she/he has portrayed an arid Naples, not bathed by the sea. When the girls become adolescents, Lenù- ever the good girl, continues her education and becomes the babysitter for the young girls of a local bookseller. Gradually escaping from her colorless and seemingly hopeless childhood, she discovers the Neapolitan seaside and particularly the iconic Sea Garden, a beach club on via Caracciolo, just as the waterfront of Mergellina slopes into the elegant neighborhood retreat of Posillipo. It is at Sea Garden that Lila prances around in an arousing green bikini with her new boyfriend Stefano. Lenù also comes here on Sundays with her first boyfriend who ‘spent money with pretended casualness’ so characteristic of boys from Naples periphery even today. Sea Garden is still there. It is a beach club of fading glory, tucked behind a series of kiosks selling espressos and tarallo biscuits. Today the clubs of Bagno Elena and Lido Sirena are perhaps more famous and feature more generously appointed quarters, but Sea Garden is a fading reminder of Naples' past. An urban beach with a man made strand of sand, it is still possible to escape the quotidian bustle of the city, grab a book and a bite to eat and enjoy this iconic beach of Naples just as Elena Greco once did. Like this article? Don't miss "HBO's "My Brilliant Friend" Is Just the Phenomenal Adaptation We've Been Waiting For"
If Sea Garden is a testament to the fading glory of baroque Naples, San Giovanni a Teduccio is a reminder of its modern day decay. In the Ferrante books, Lila flees her abusive husband and searches desperately for a job. 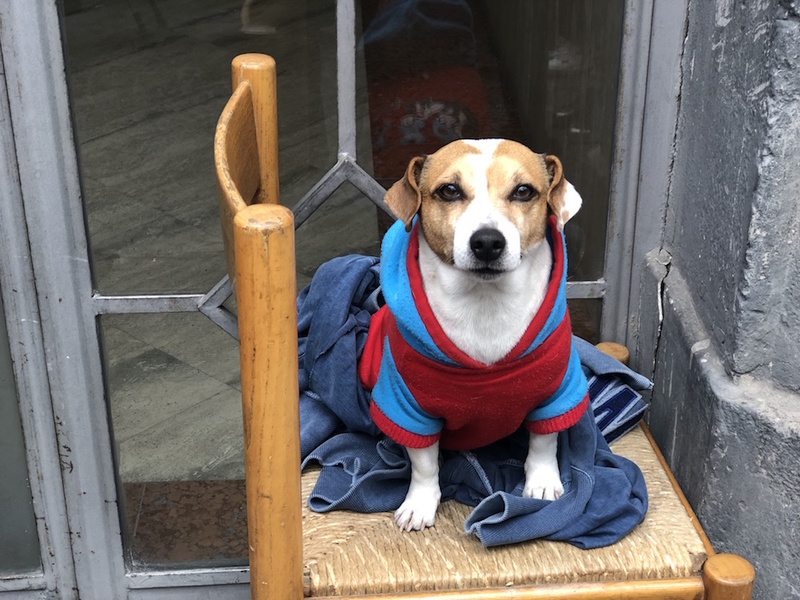 An old acquaintance from her Ischia glory days, Bruno Soccavo, offers Lila a job at his family’s sausage factory in the heart of San Giovanni a Teduccio. When Lenù discovers Lila has fled there, she writes, “I knew nothing about San Giovanni a Teduccio. 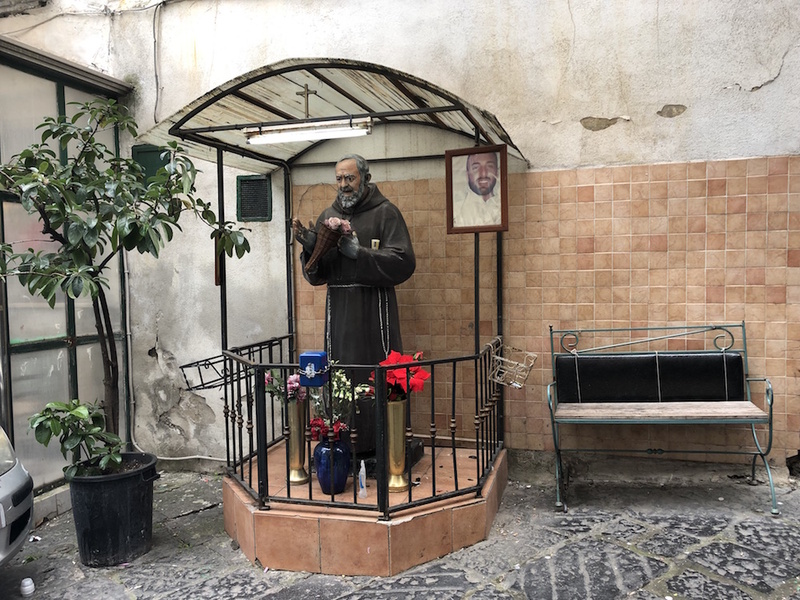 The only thing that came to mind was the factory owned by the family of Bruno Soccavo.” When you read the passage you imagine that San Giovanni is a land far from Naples, possibly in the far reaches of provincial Campania. It in fact borders Lenù and Lila’s native Luzzati and is about five hundred meters from the fabled stradone that so dominated their childhood. It is not inconceivable the young girls had never heard of San Giovanni. It was and still is a far flung area known for loading docks and industrial warehouses that even today includes a sausage factory and an abandoned cigarette factory that both may have served as inspiration for the Dickensian passages in the novel which recount Lila toiling away with sausage grinders and the predatorial Bruno Soccavo. Today, little has changed. Many foreigners know the region because the questura is located here. Everyone from wealthy American retirees to recently arrived asylum seekers queue here every morning in pursuit of an Italian permesso di soggiorno. Surely both Elenas would find this contrast amusing. Lila and Lenù’s lives diverge when the latter chooses (or rather is permitted to) to continue her education. It was not unlikely at the time for young people, especially girls, in Naples to conclude their formal educations with elementary school around the age of ten or eleven. Lenù’s ability to not only complete middle school but enroll at a classic lyceum (high school) is noteworthy even by today’s standards. According to Italy’s Ministry of Education, only 54% of Italian students continue their education at traditional Lyceums and most choose the less academically strenuous scientific lyceum. The classic lyceum in Naples is a pillar of higher education, and with instruction of Greek and Latin still in use, these institutions rigorously prepare students for a lifetime of higher learning in accordance with the ancient Greek system espoused by Plato and Aristotle. Lenù attended the Liceo Classico Garibaldi one of the first classic lyceums and Naples and certainly the only one admitting students from the working class periphery Lenù would likely have been one of few female students, which makes her achievement all the more remarkable. Liceo Classico Garibaldi is still teaching students today and counts the country’s best surgeons, scientists, researchers, judges, philosophers and professors among its alumni.